Almost straddling the border of South Carolina and North Carolina, Ocean Isle Beach is one of North Carolina's southernmost barrier islands. Just over seven miles long, it is a favorite of retirees searching for the idyllic beach lifestyle. Located between the tourist mecca of Myrtle Beach and the historic charm of Wilmington, little is known about its early years, when it belonged to a variety of people, none of whom had a clear direction for the island. Until the 1950s, Ocean Isle was little more than a family getaway for those who owned sprawling expanses of ocean-front property. In 1953, Odell Williamson purchased the entire island, incorporating it into the town of Ocean Isle Beach in 1959. Since then, the island community has preserved its small-town flavor, choosing not to join the ranks of commercialized resorts dotting the Atlantic coast. The quaint village of neo-traditional clapboard houses still has an air of the 1950s, and that suits the residents just fine. They are proud to be the antithesis of the wall-to-wall condominiums that have taken over so many other island towns. But Ocean Isle Beach isn't too quiet, there is plenty to do besides the obvious activities of lounging on the beach and fishing. 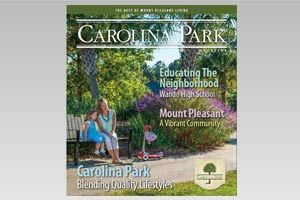 They're proud, too, to be known for the best beaches on the North Carolina coast, where the warm waters of the Atlantic combine with a wide, sloping shoreline and where mandated public access is located every 500 feet. Great beaches aside, what really distinguishes Ocean Isle Beach from other barrier island towns? Maybe its the system of canals that run throughout the island, connecting virtually every home to the Intracoastal Waterway. This uncommon feature makes Ocean Isle beach perfect for boat owners, since most homes are equipped with a dock. But Ocean Isle Beach isn't too quiet – at least it doesn't have to be. There is plenty to do besides the obvious activities of lounging on the beach and fishing. At least 30 golf courses are nearby, and dozens more appear as you near Myrtle Beach to the south. Waterway and ocean-front dining at sunset, shopping in interesting little boutiques and day trips to historic sites are all enjoyable ways to pass the time. Isn't that why you came to the beach in the first place?